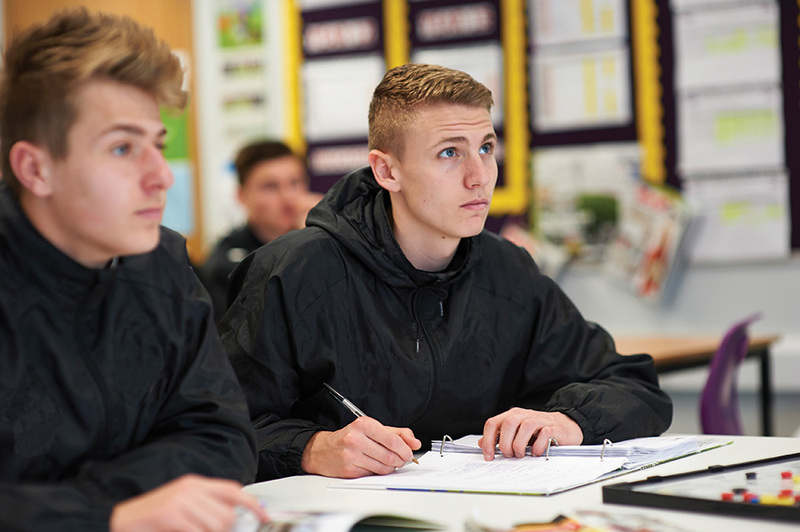 Combine your passion for football with a full-time education and development programme, and benefit from an outstanding learning and teaching experience which will push you to achieve your best and set you on the path to establishing yourself with the industry. 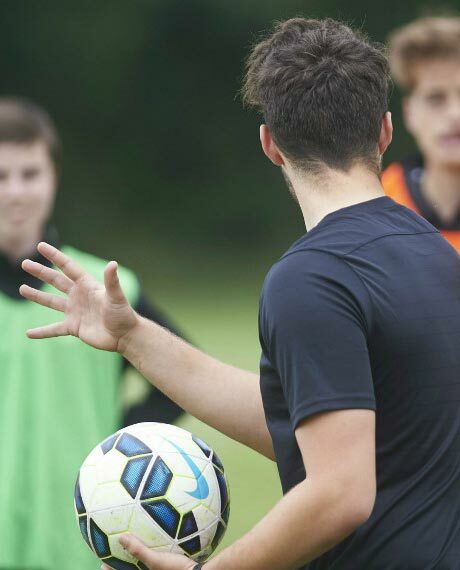 There are over 100,000 people employed in the football industry in the UK, and a further 600,000 in the sport and active leisure sector, in roles such as football coaching, physiotherapy, performance analysis, sports development, PE teaching, and many others. Over the course of the programme students will gain the underpinning knowledge and skills for a wide range of these careers. Successful completion of your study programme will provide you with the option to apply for university. As part of your weekly tutorials, you will receive support and guidance with your UCAS and student finance applications. If you decide to combine further study with employment, you will be eligible for an apprenticeship within the sport and leisure industry. Upon successful completion of your study programme, you will receive information, support and guidance on a variety of aspects to support you in securing meaningful employment. This will form the basis of your tutorial sessions, in addition to the academic monitoring and target setting. 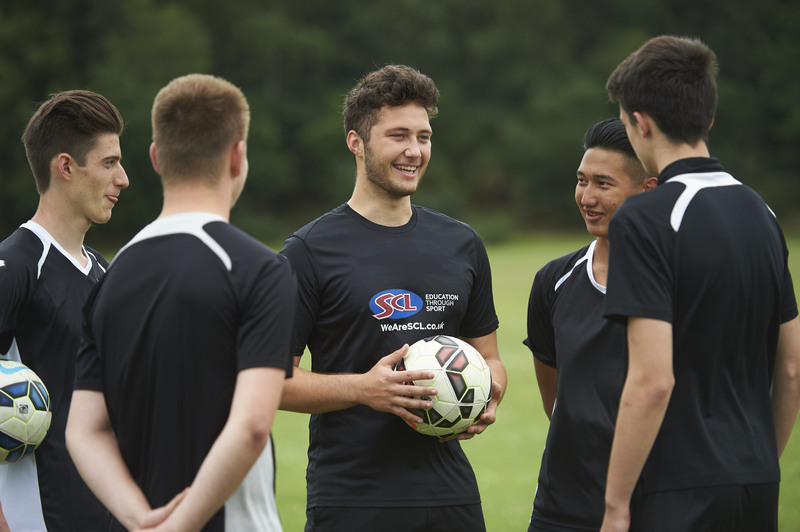 Studying with SCL provides you with an opportunity to play professional or non-professional football, as well as a pathway to progress to a USA Scholarship. An American Scholarship will allow you to continue your studies whilst training and competing at a high level. 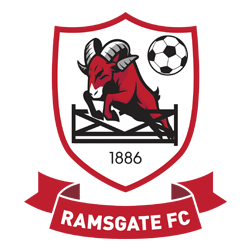 Ian Docker is the General Manager at Ramsgate FC and is a UEFA Qualified coach, He is a former U15 England Schoolboy International and a former professional footballer with Gillingham FC, playing in the old 3rd and 4th divisions. He was the Academy manager at Ebbsfleet Utd, formerly Gravesend and Northfleet for 17 years producing players for the 1st Team and watching some progress to the Football League, whilst also being the Gillingham FC U16 School of Excellence coach, taking the fulltime scholars training and matches on numerous occasions, on and when asked, the reserves too. Ian has a wealth of experience in the running of Academies and looks forward to getting out on the field as much as he can with the next up and coming 1st team players of the future. Together, Ian and Elliott are really looking forward to this coming season and beyond, providing a platform and a player centered environment for the students to excel in. Elliott Austin, is the current Youth Section Chairman and a former Ramsgate FC player, whose enthusiasm and love for the club knows no boundaries. Elliott is responsible for the smooth running of the Academy and will be the main point of contact with the players and parents on the course. Elliott has been involved within local football for over 20 years including managing and coaching at junior and adult football and this has led to a good knowledge of local football and talent within the area and making many good connections. Outside of football he holds a senior management position that gives him many transferable skills such as project management and staff management.